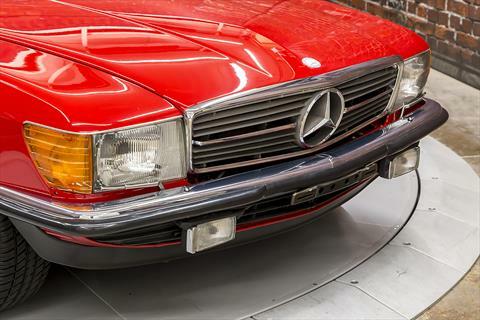 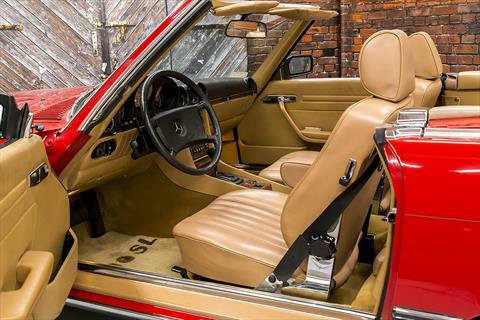 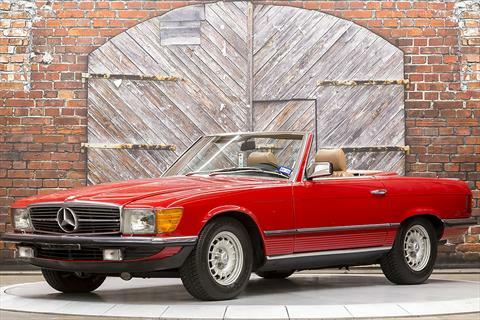 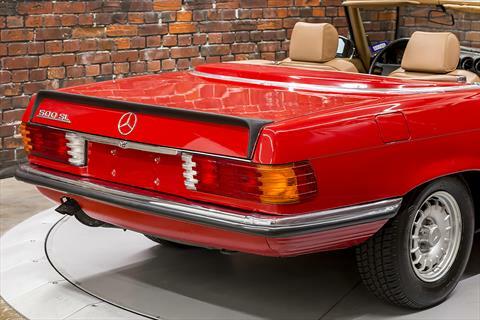 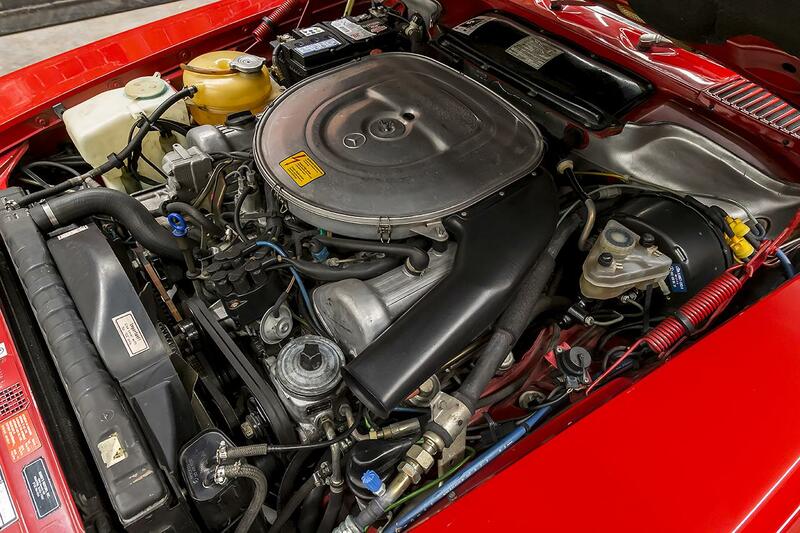 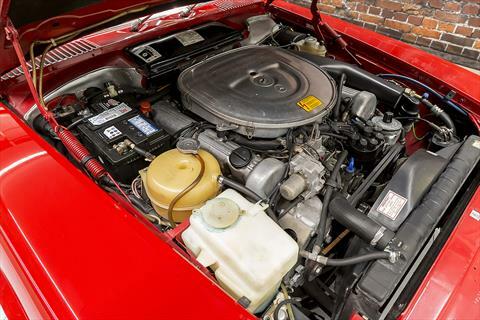 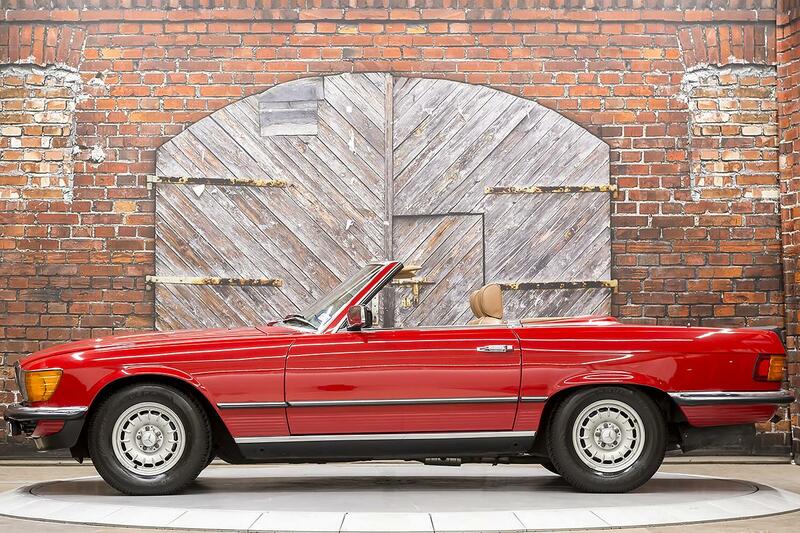 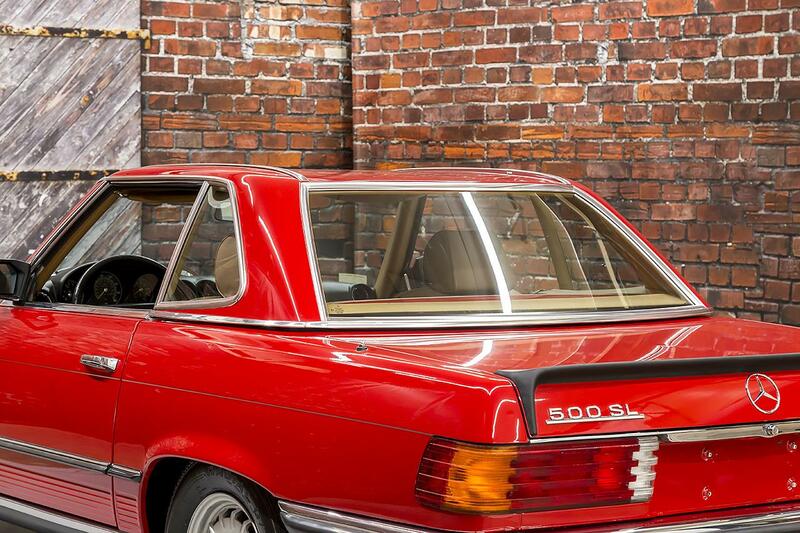 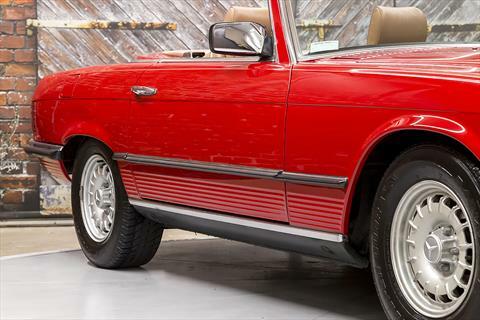 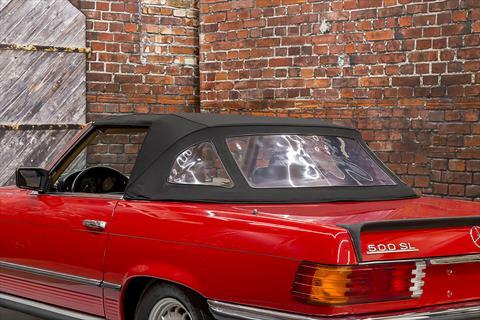 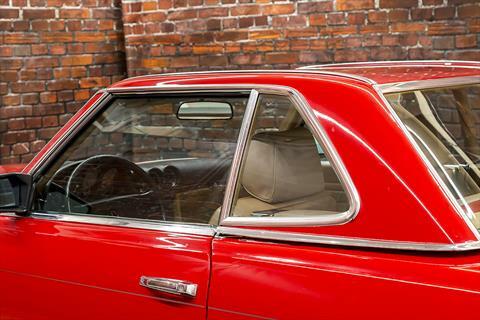 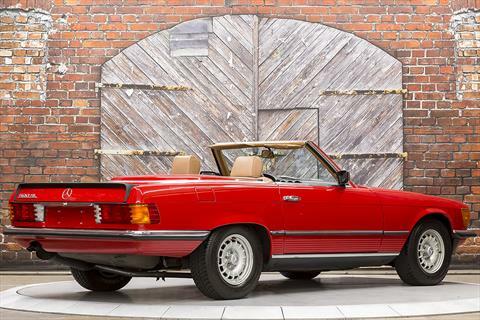 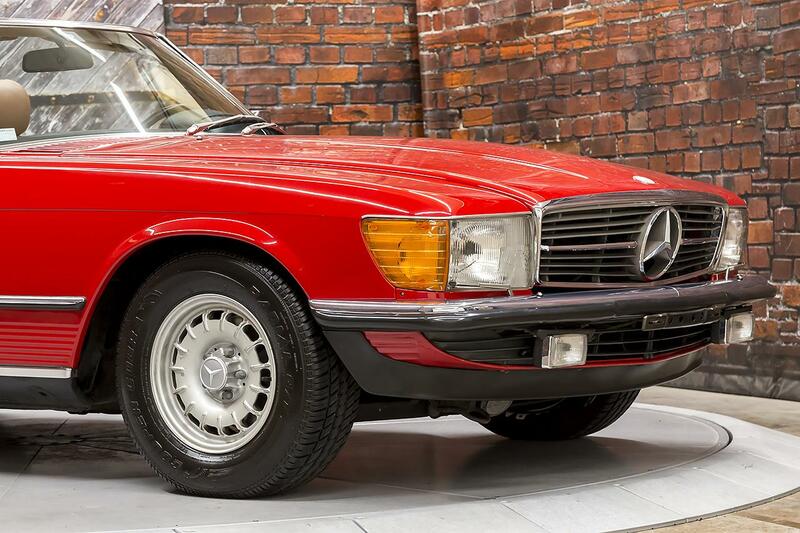 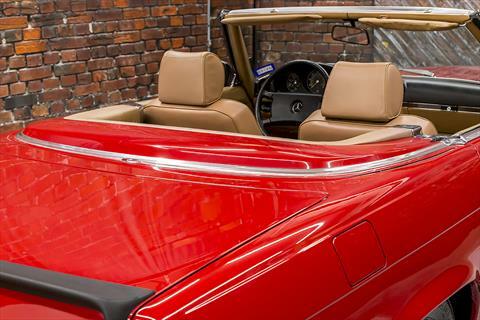 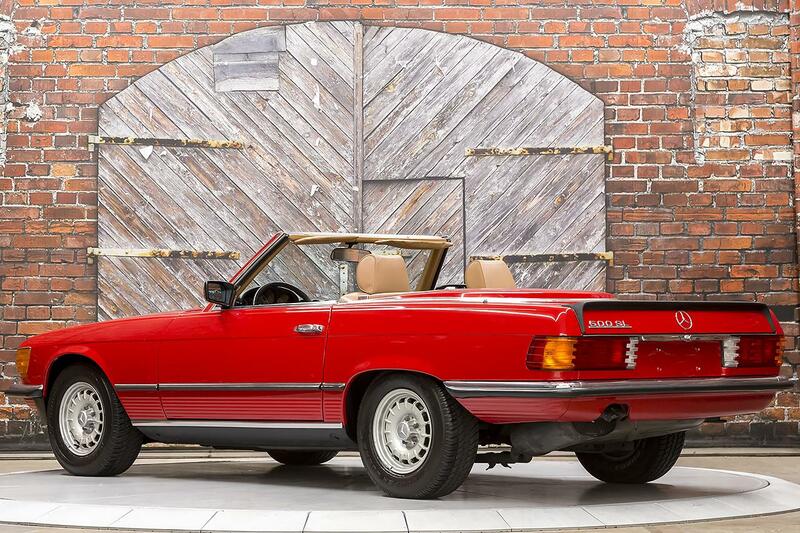 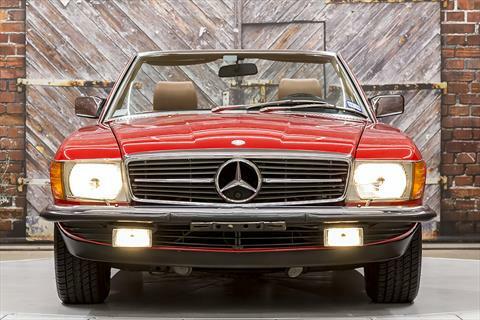 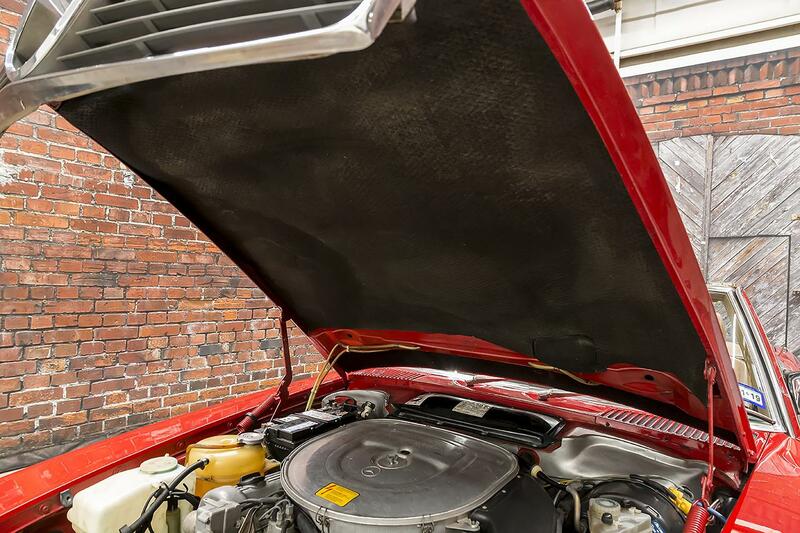 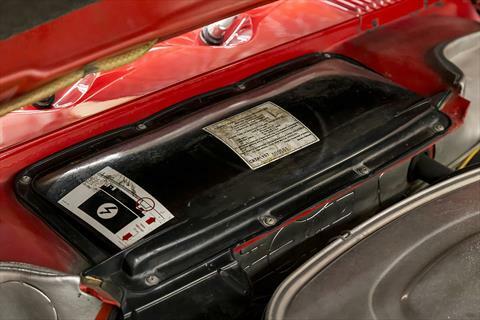 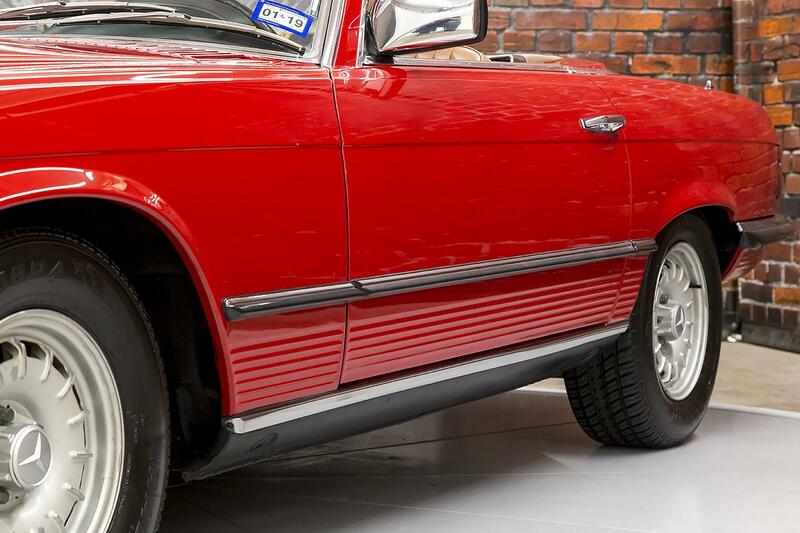 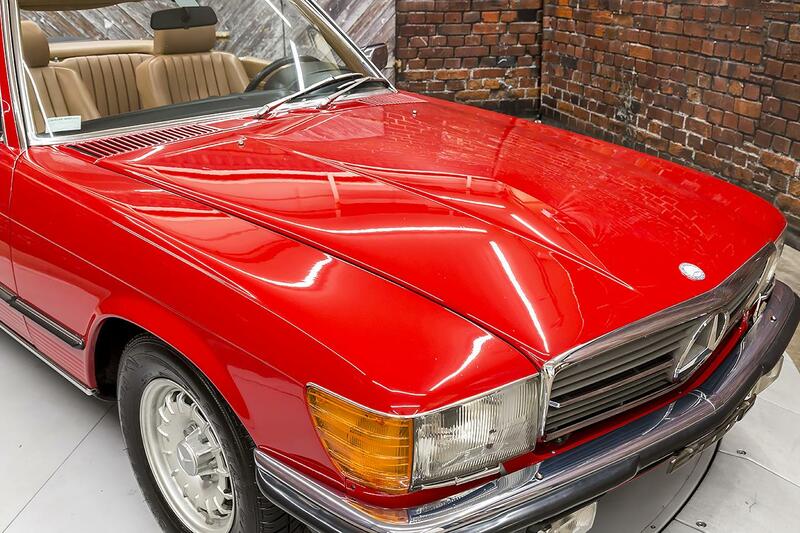 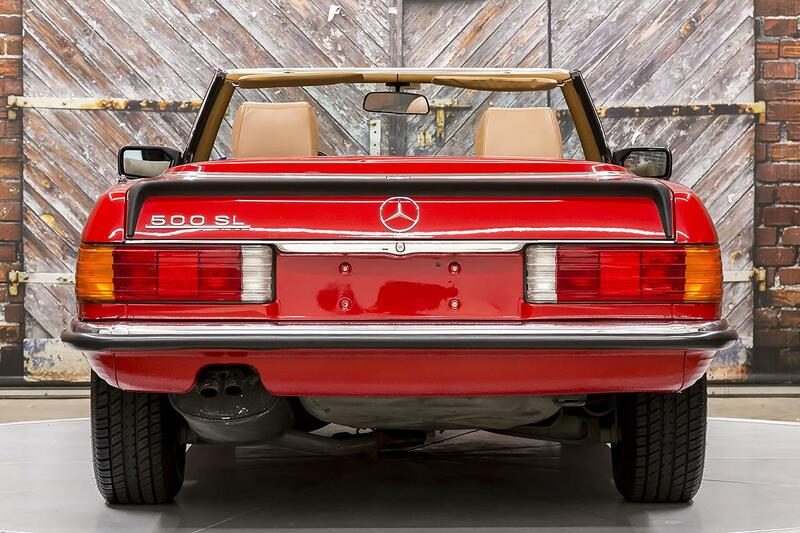 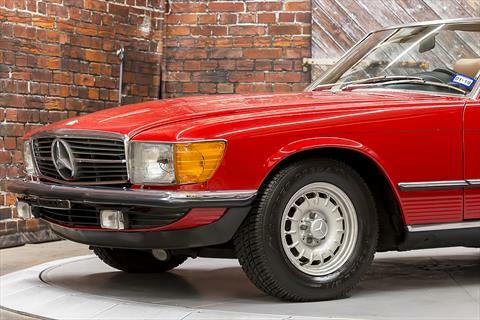 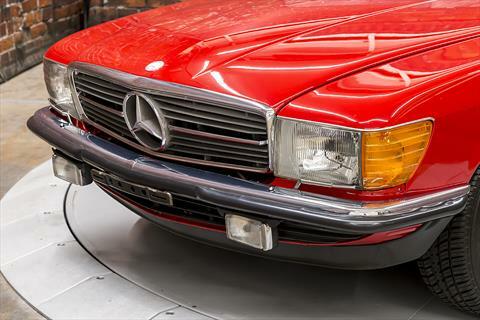 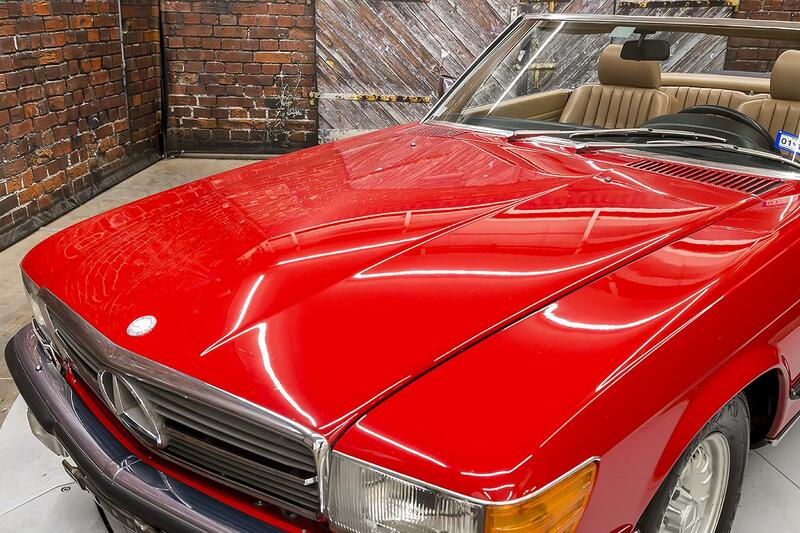 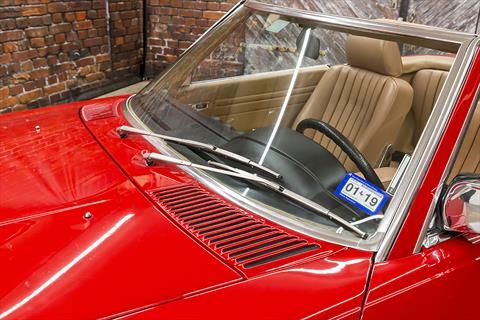 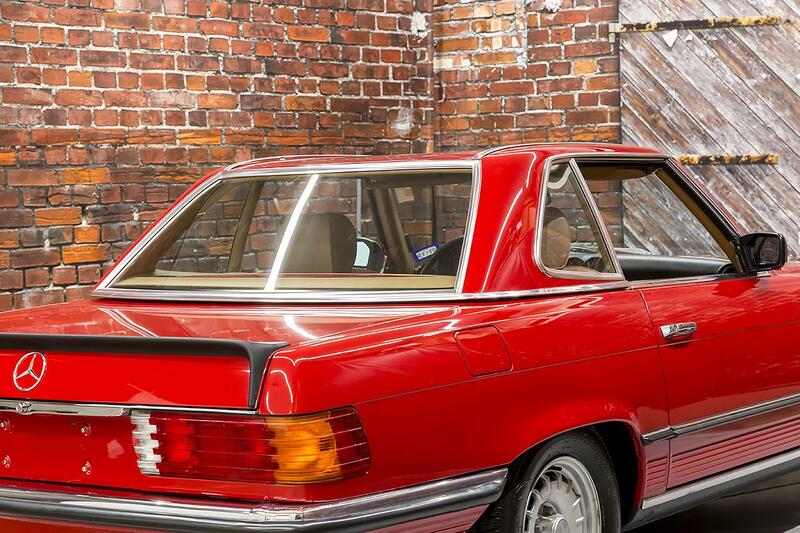 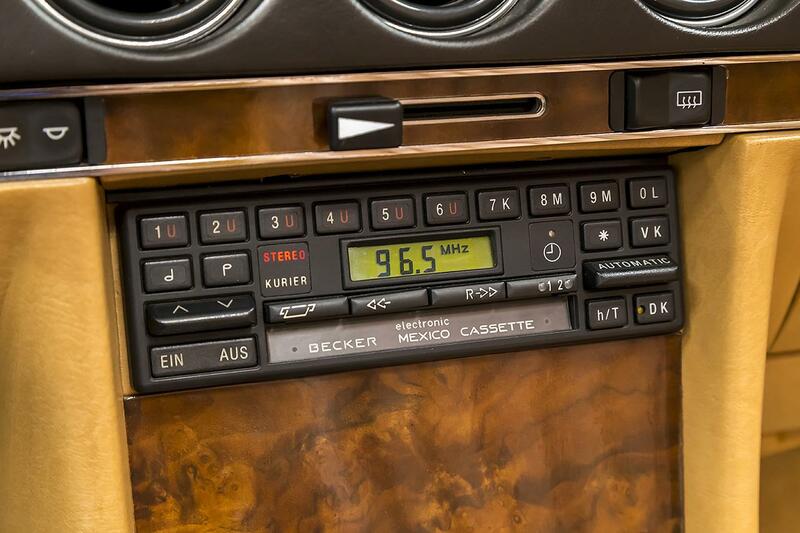 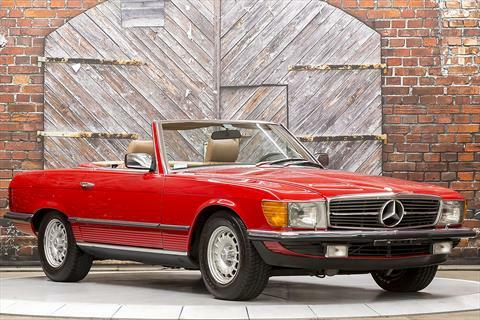 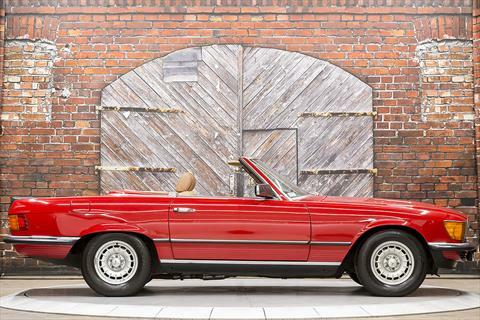 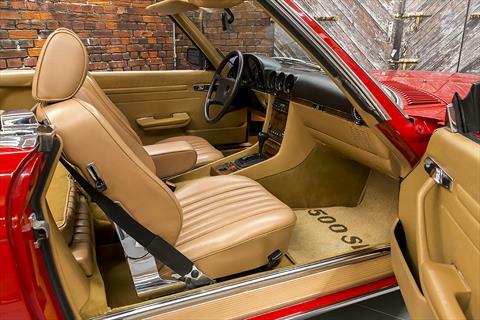 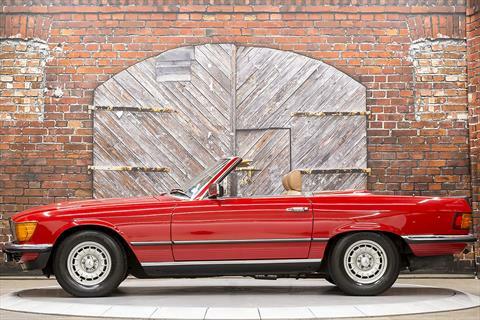 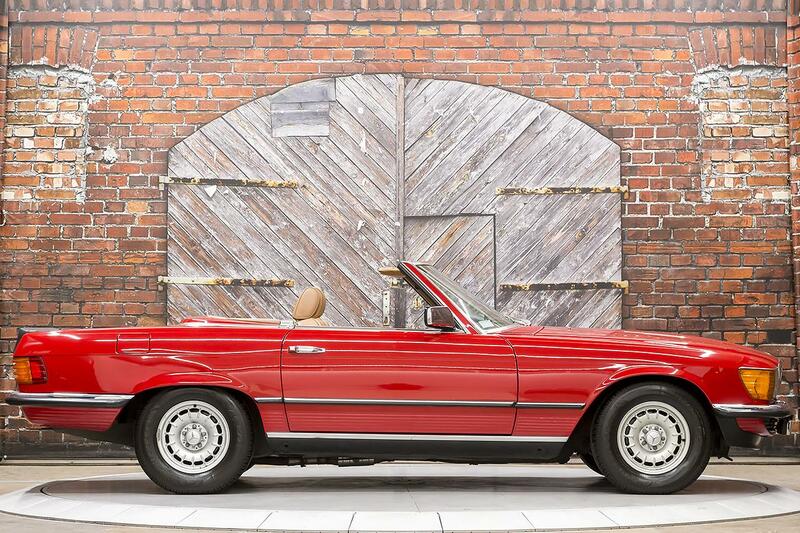 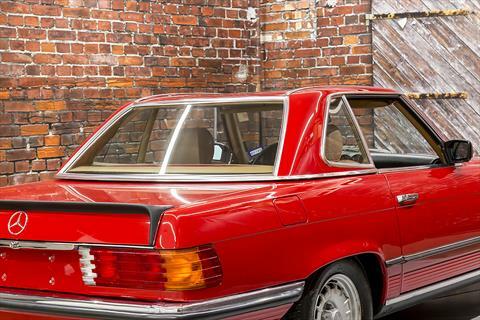 Exotic Cars of Houston offers this European 1985 Mercedes-Benz 500SL (R107) Roadster in Signal Red over a Light Brown Leather interior with 70,421 miles. 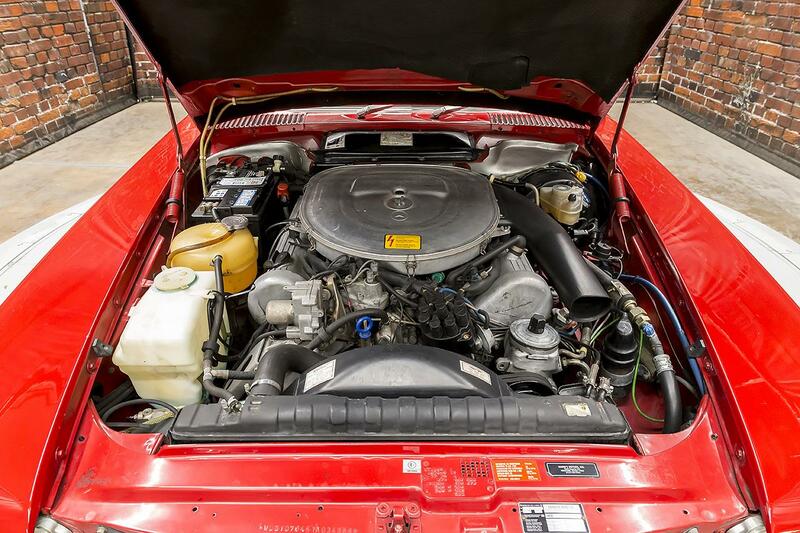 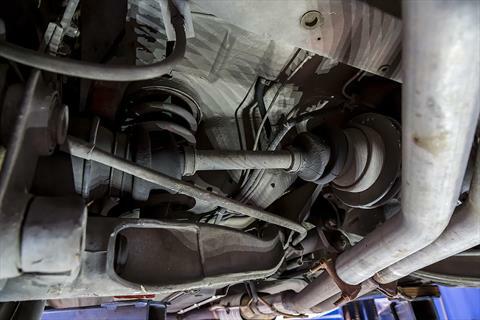 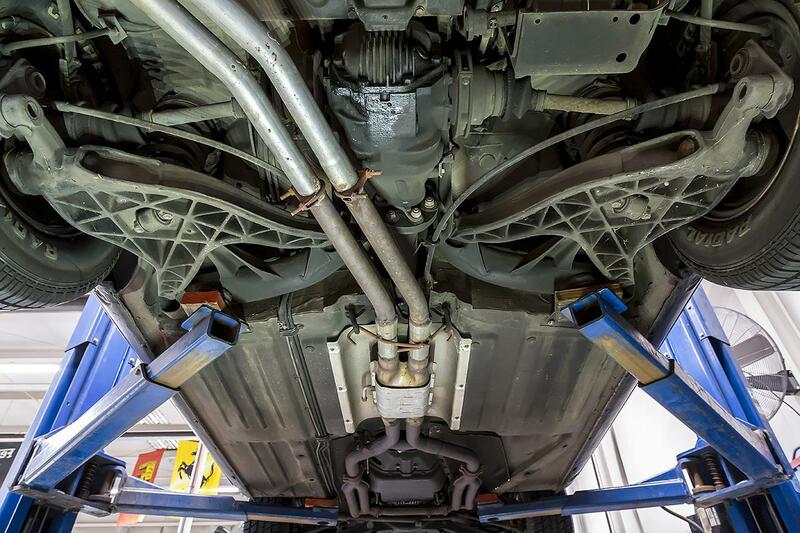 Powered by a 240 hp 5.0L V8 engine through an automatic transmission. 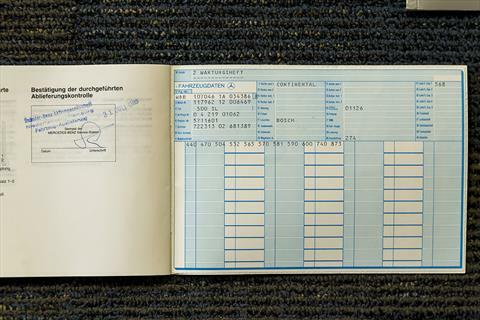 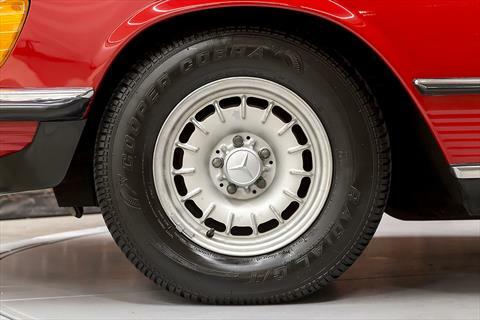 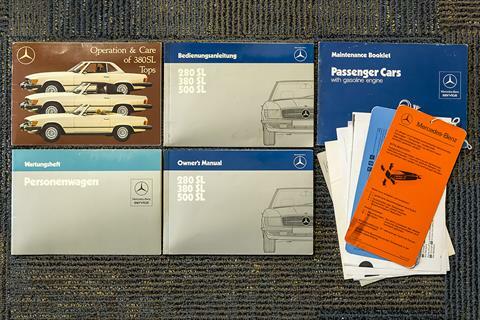 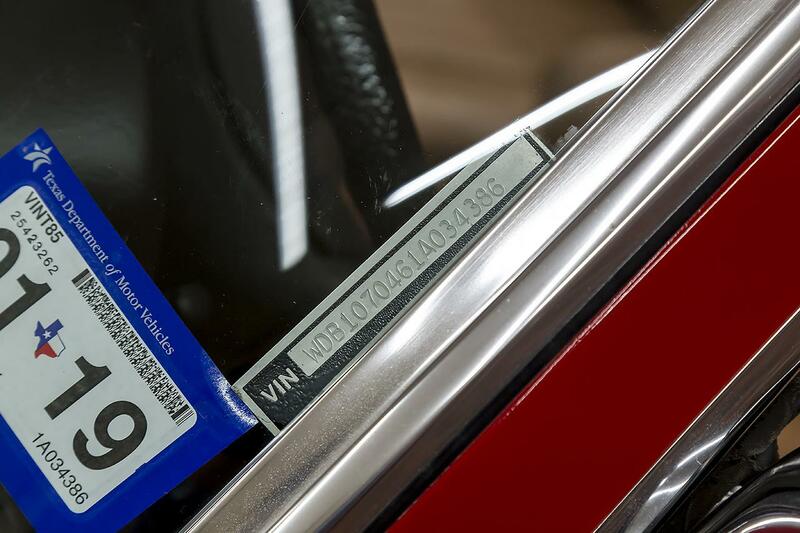 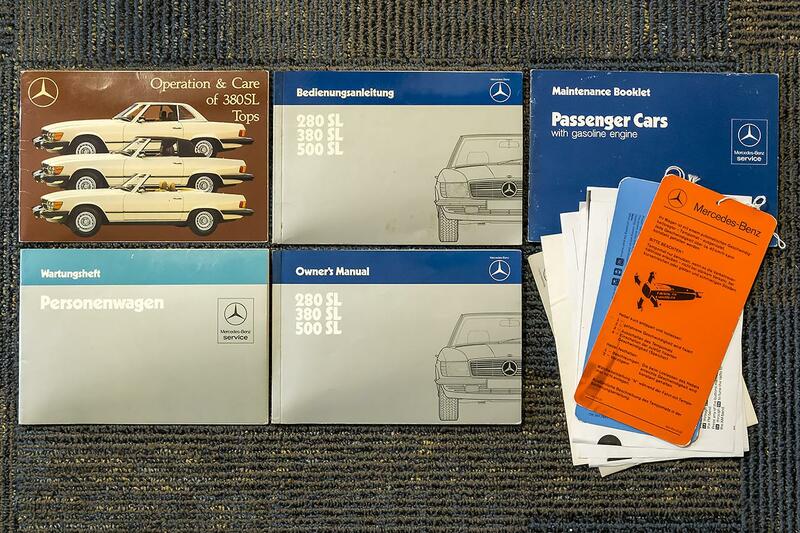 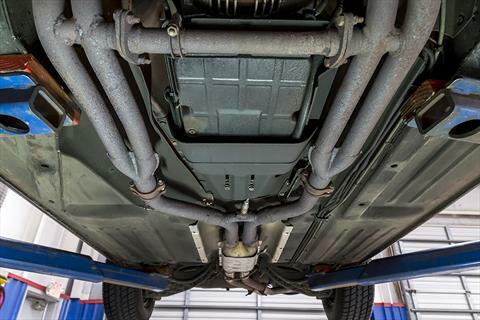 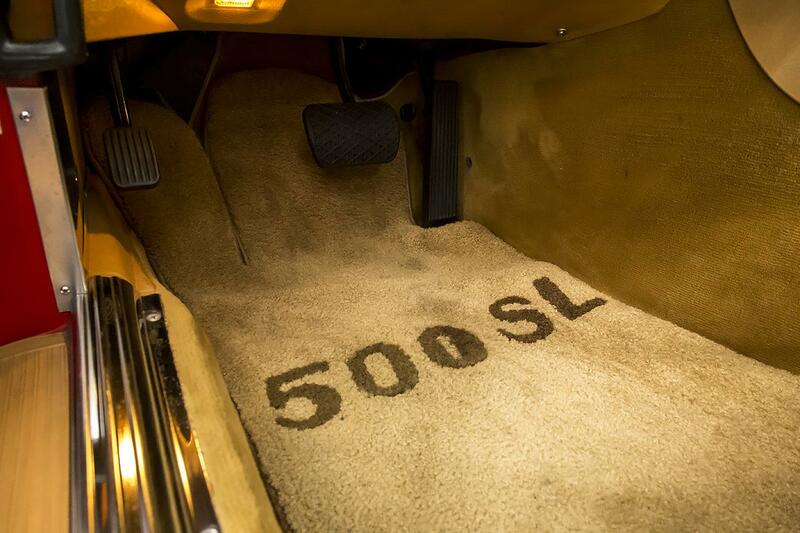 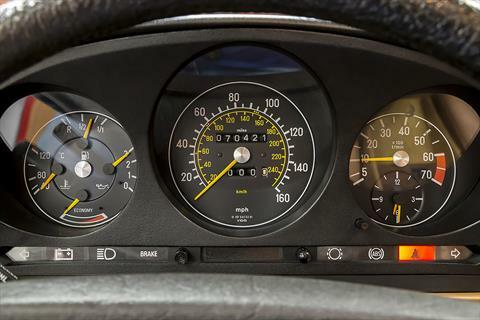 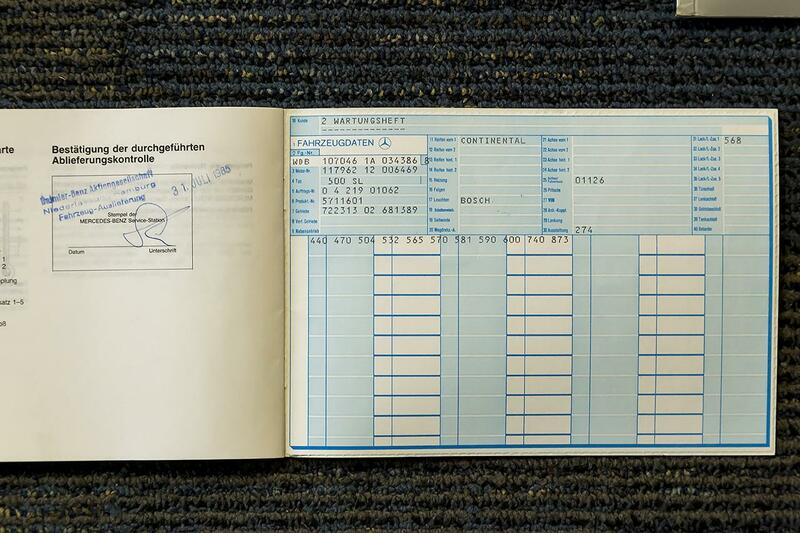 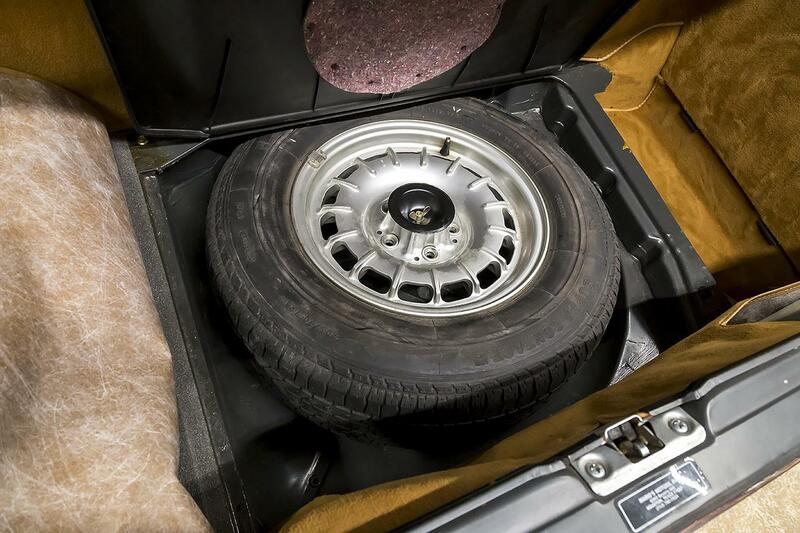 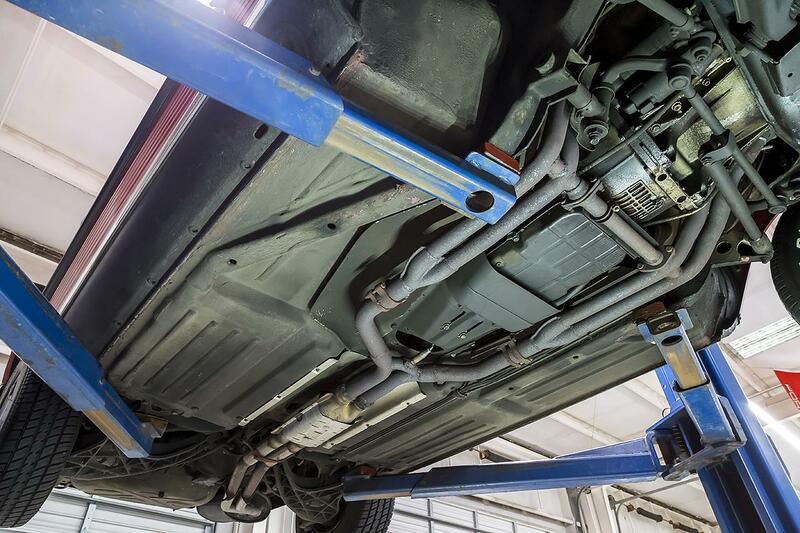 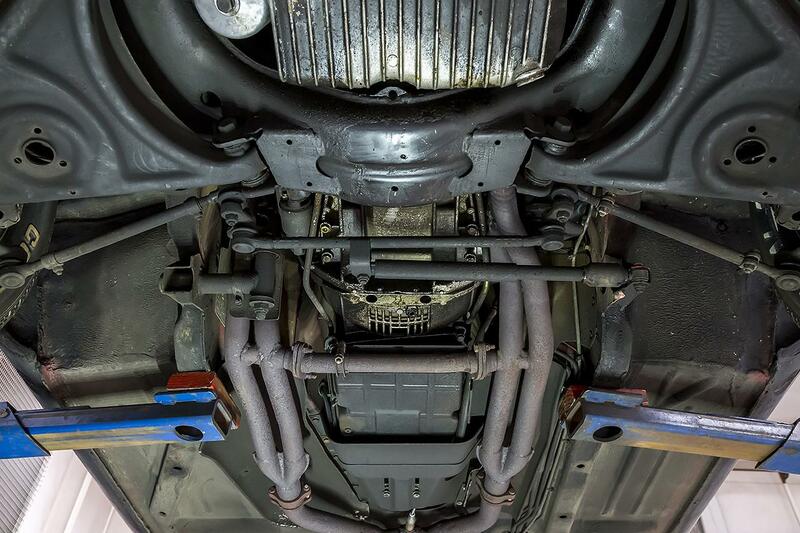 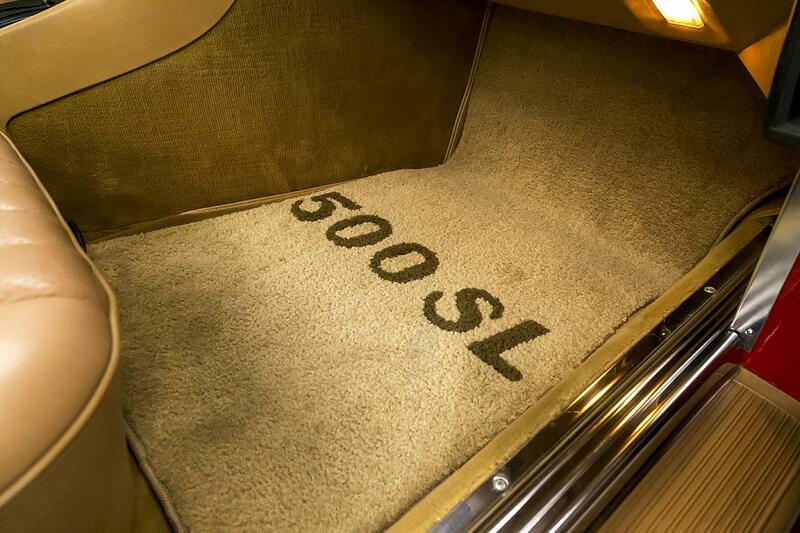 This European market 500SL was imported in 1985 by Mario’s Motors in Houston, TX. 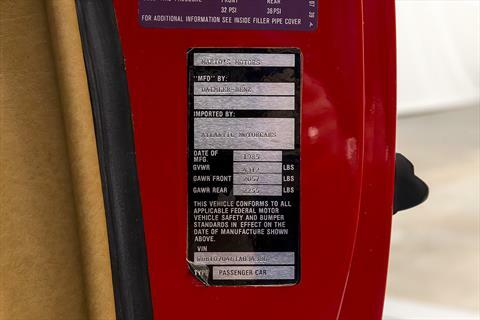 It spent the next several years of ownership and service in Springfield, MO. 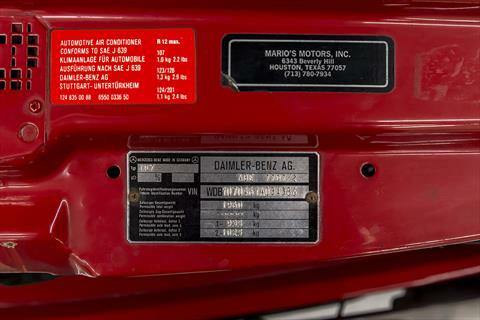 It’s most recent owner here in The Woodlands purchased the car about 5 years ago from a dealer in St. Louis, MO. 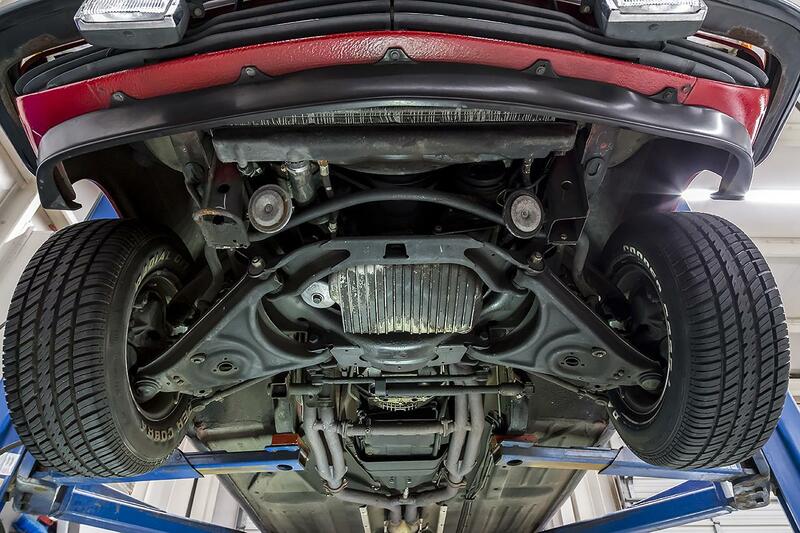 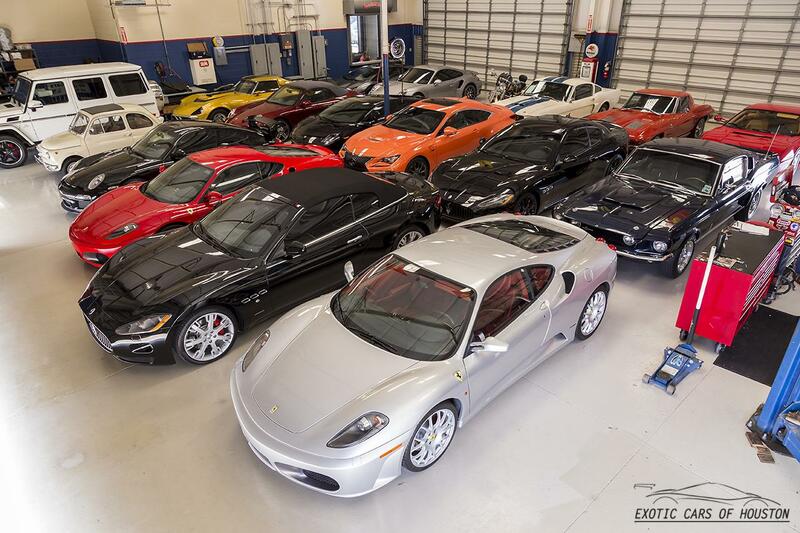 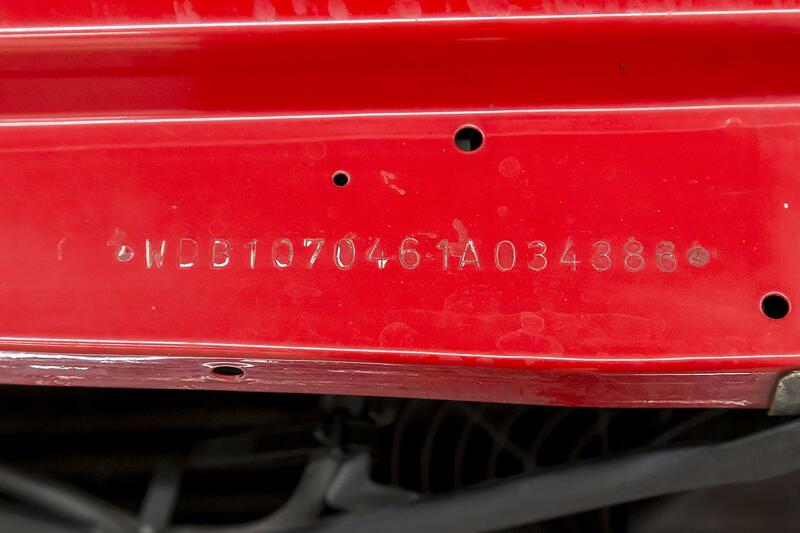 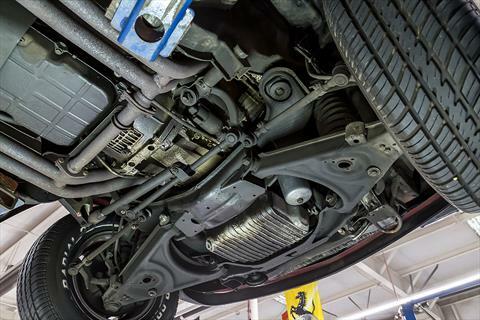 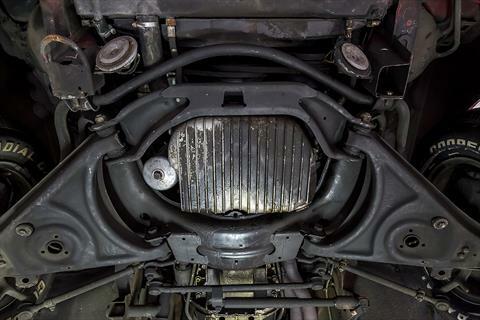 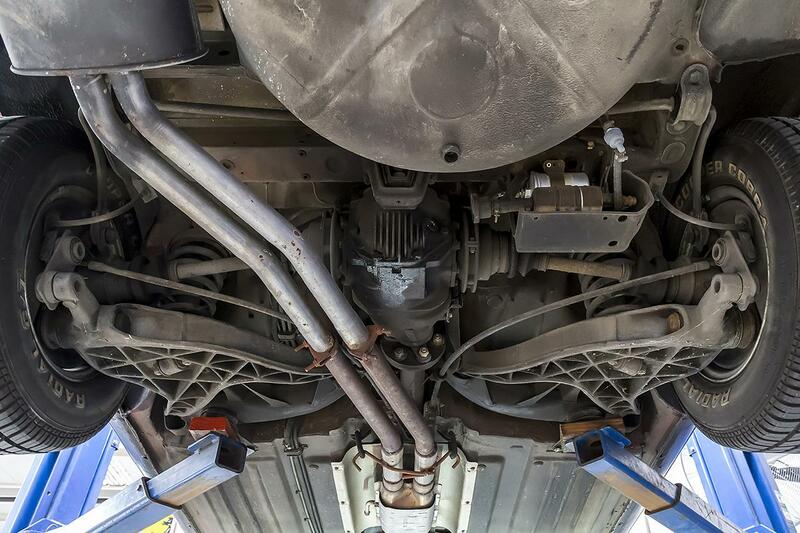 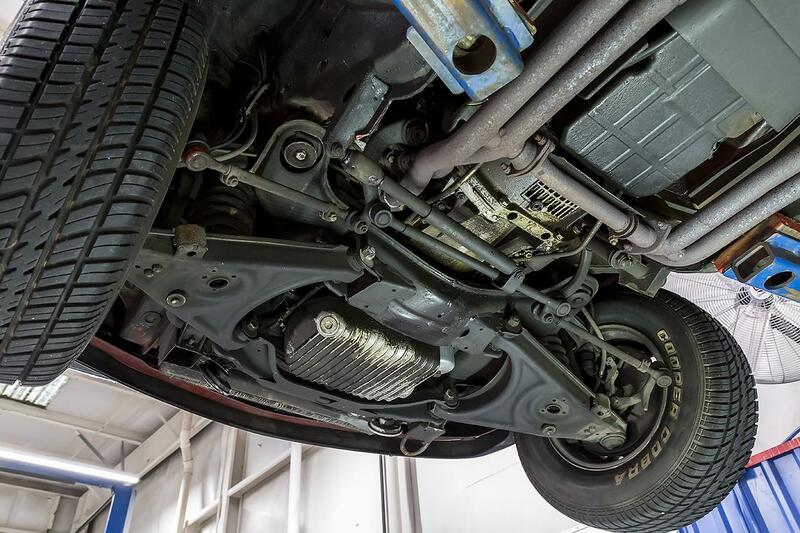 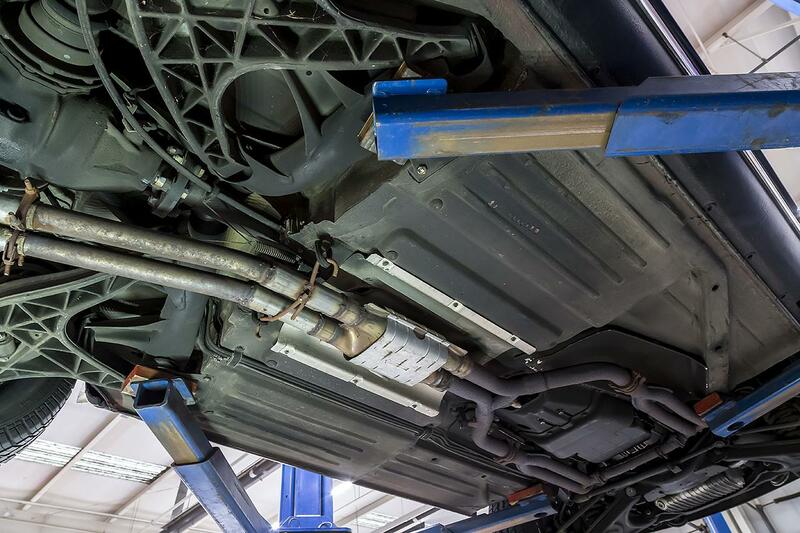 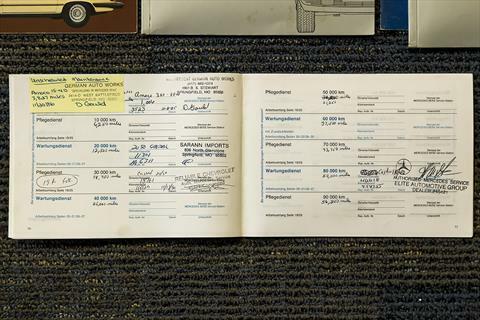 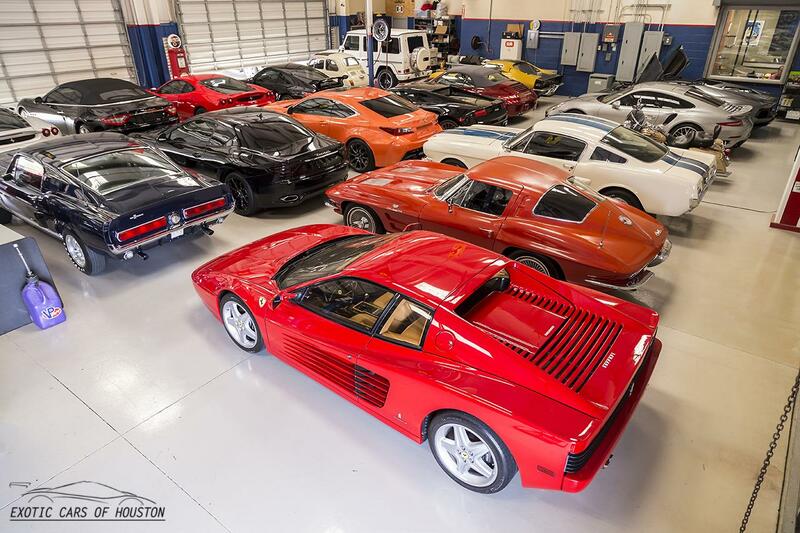 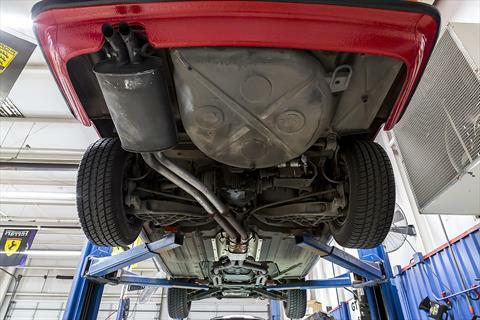 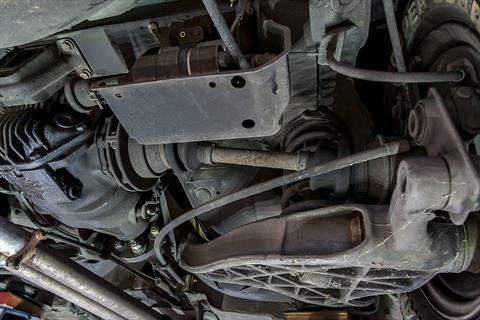 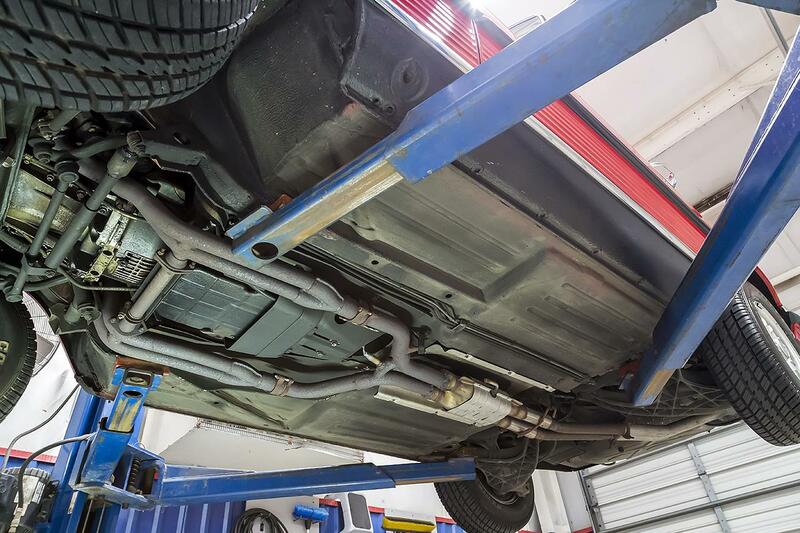 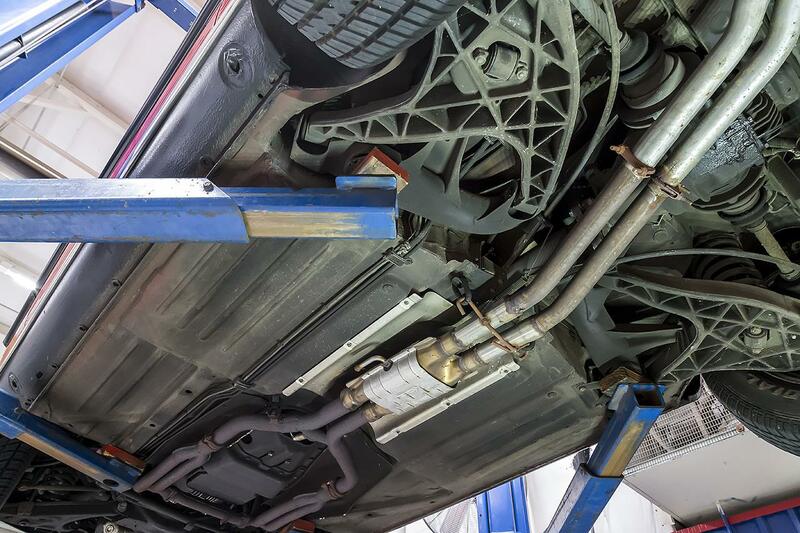 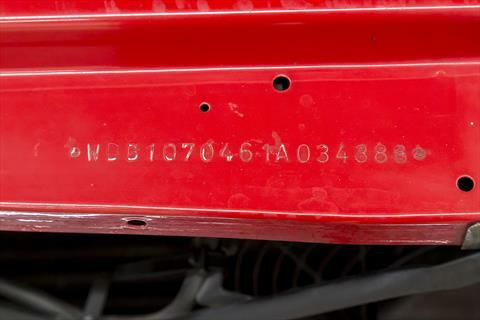 This dealer claimed it to be just a 2 owner car at that time. 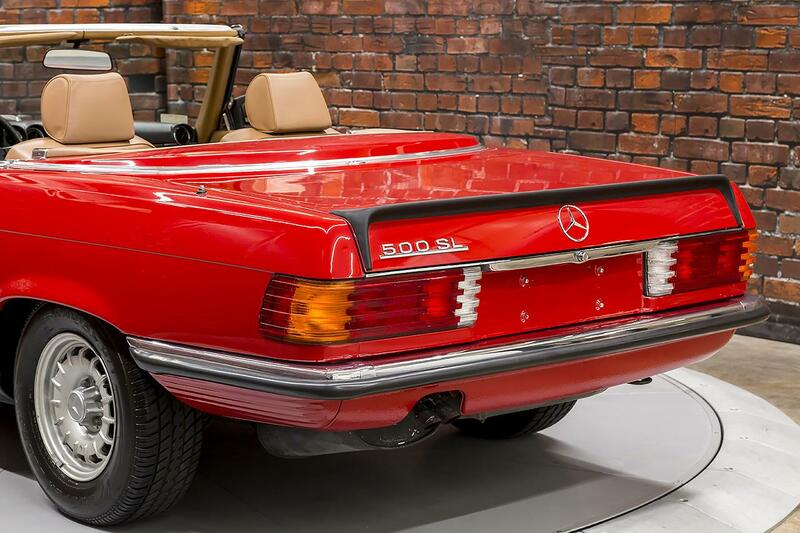 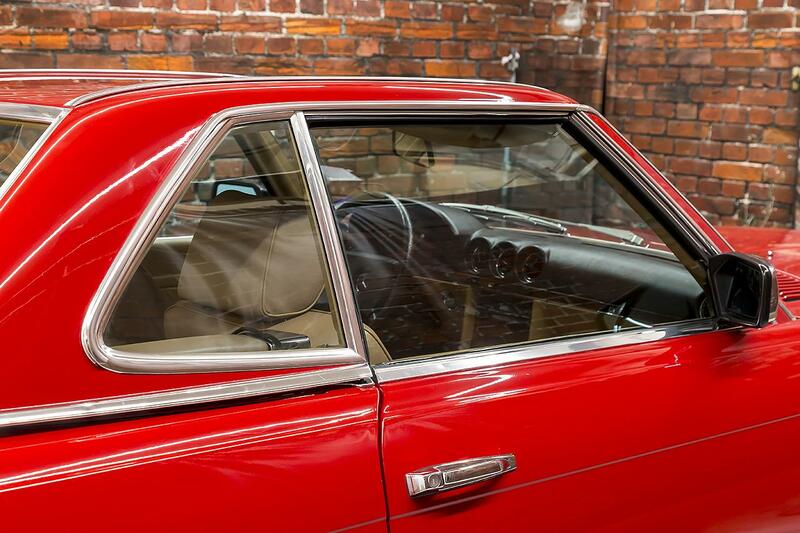 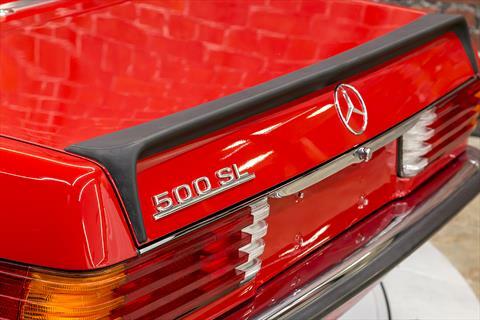 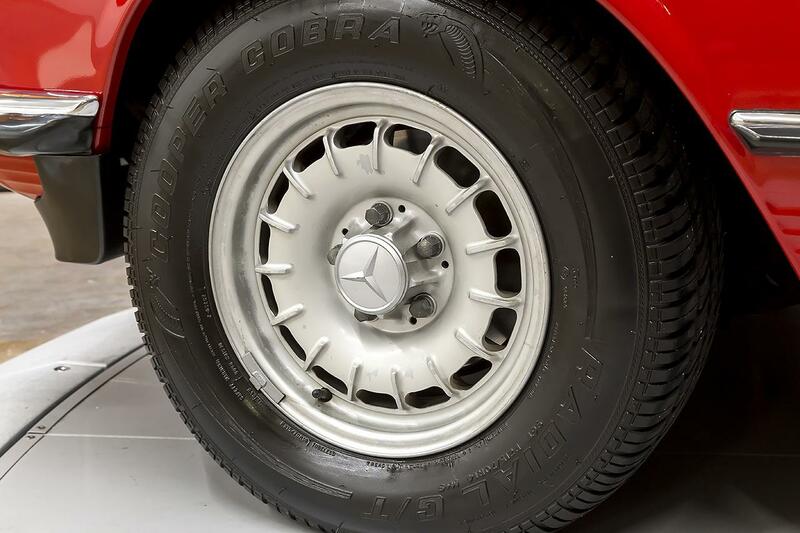 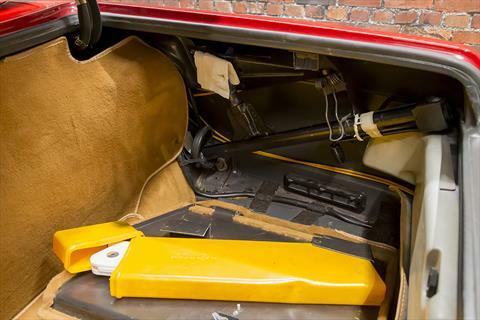 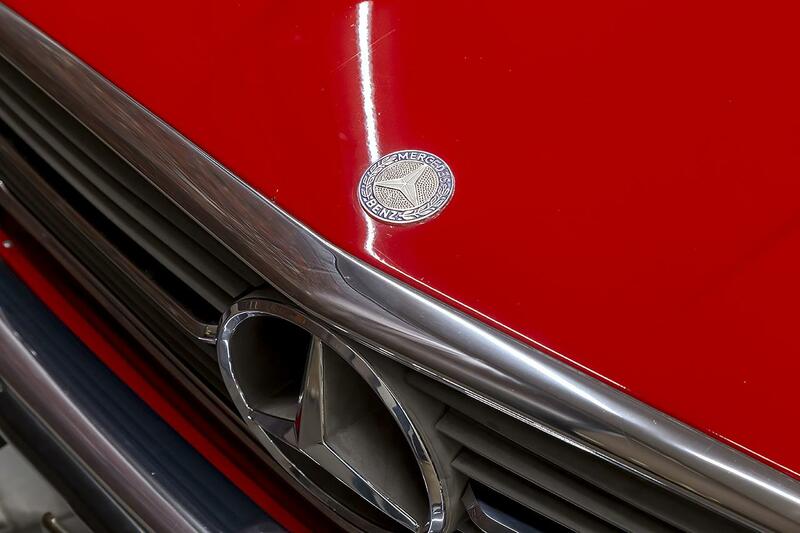 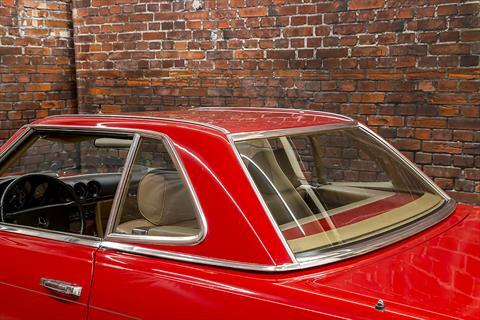 This Euro 500SL is finished in its original bright 568 Signal Red paint and features several distinguishing features including the smaller Euro pinch bumpers, authentic Mercedes rubber rear spoiler, 14 inch Bunt wheels, and Bosch Euro one-piece headlights with wipers. 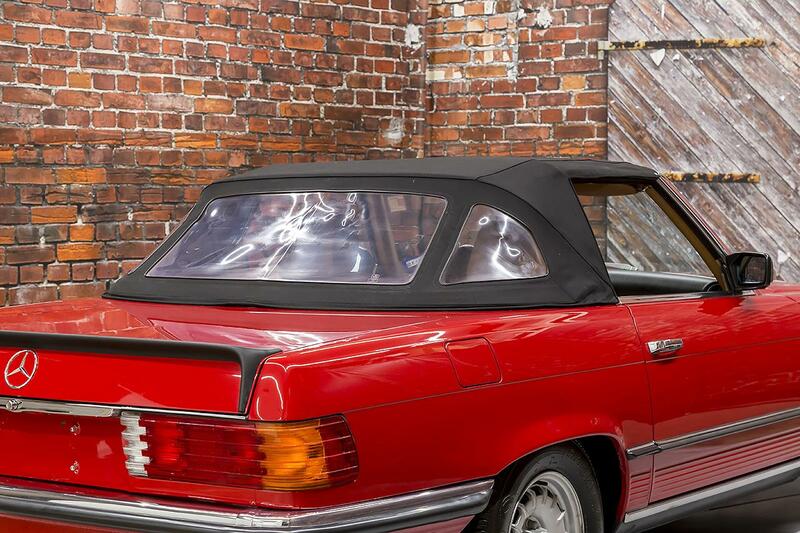 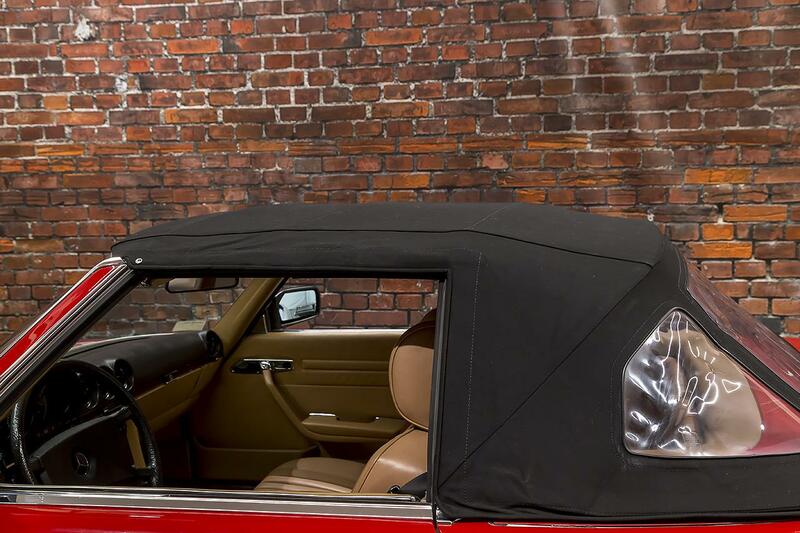 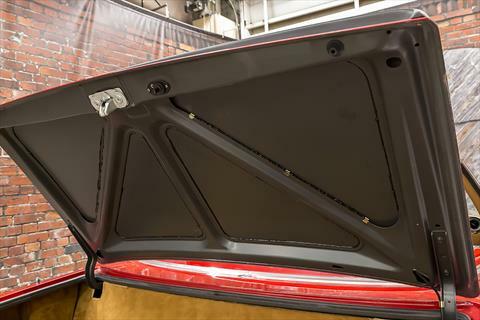 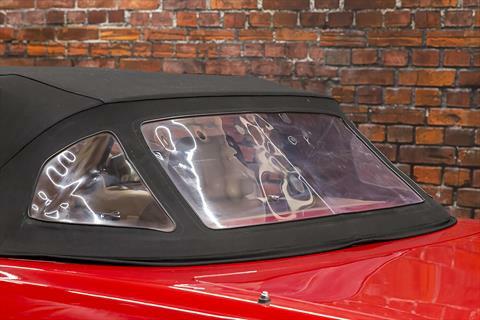 The car includes the black convertible soft top and the body matched hard top with rear window heater. 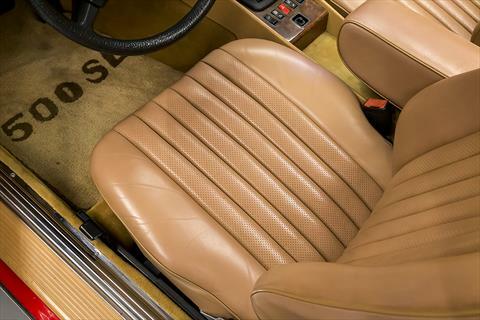 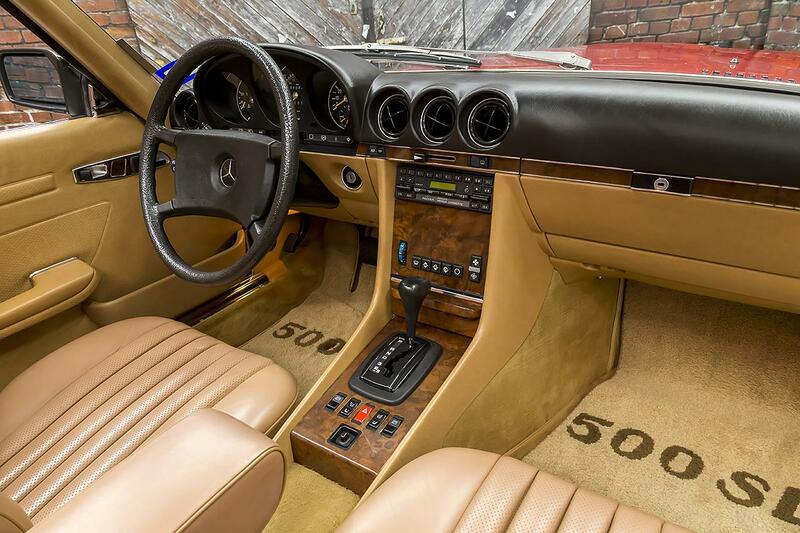 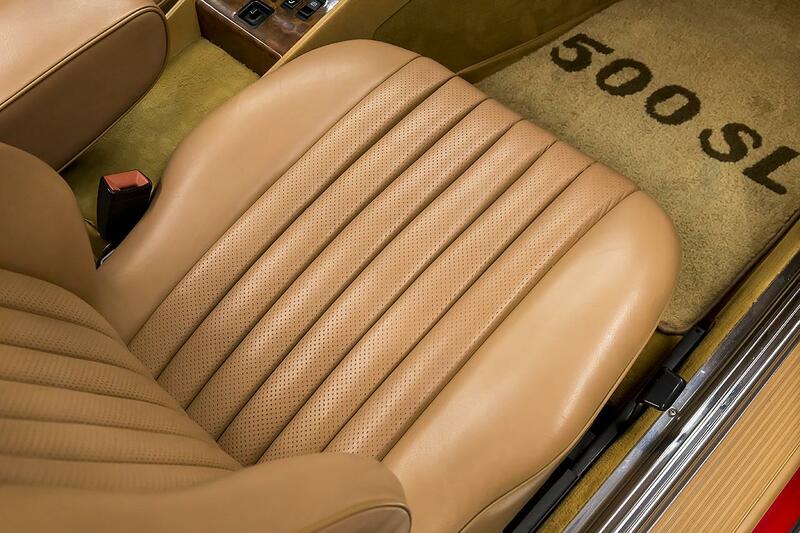 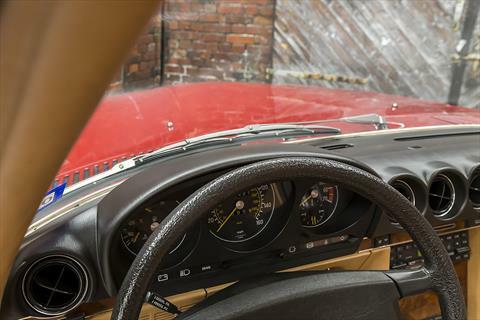 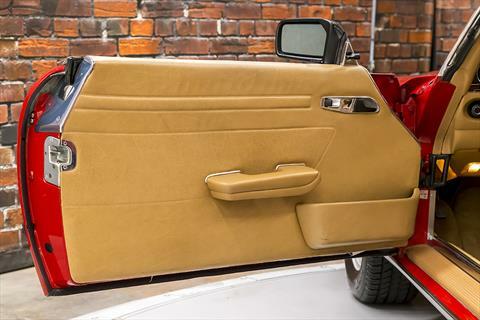 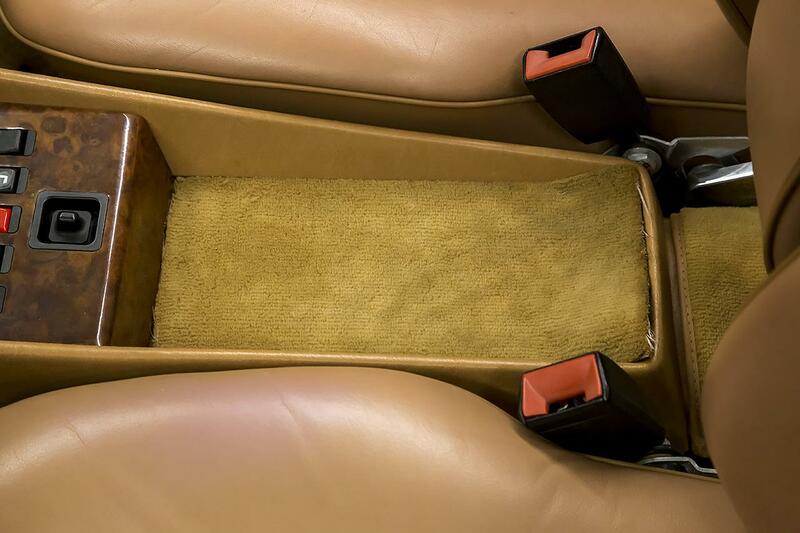 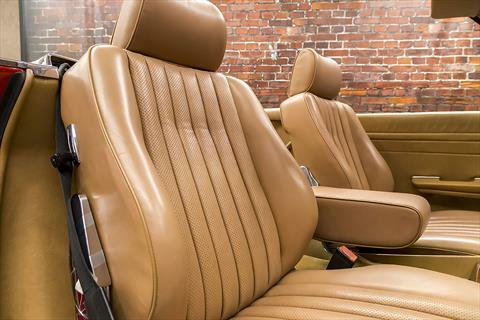 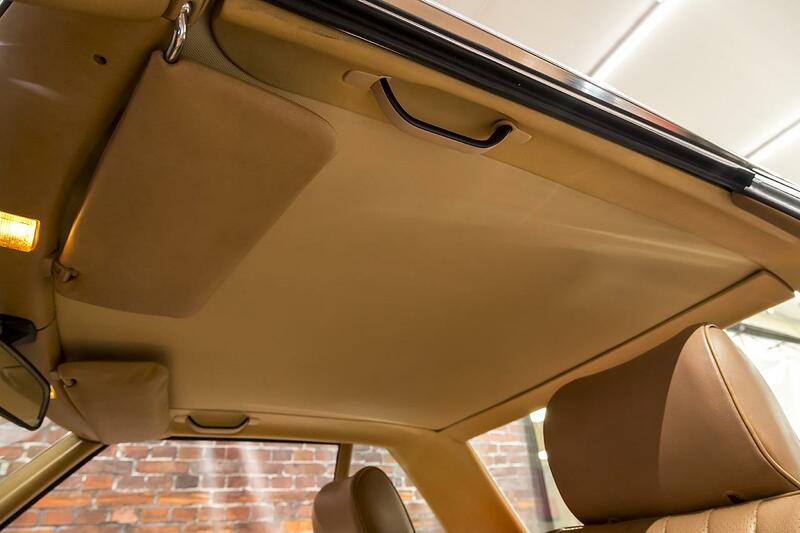 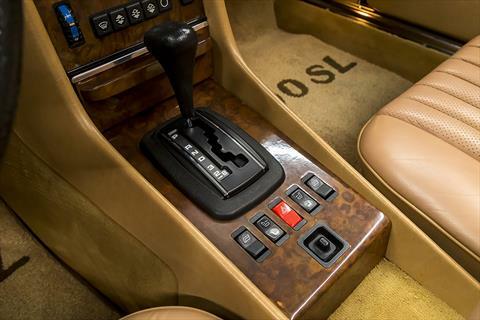 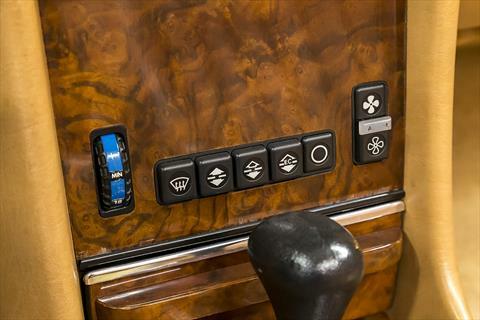 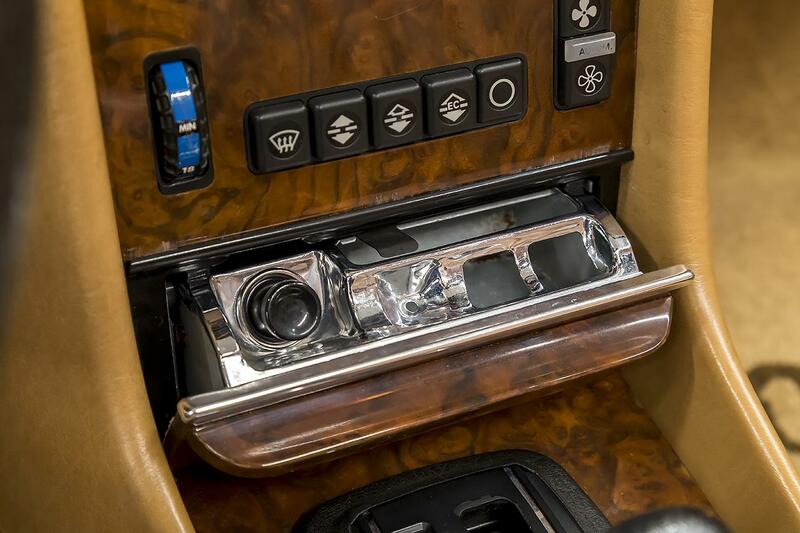 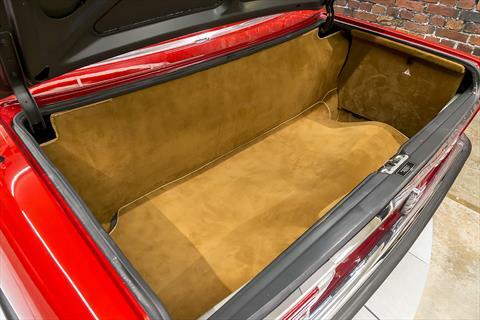 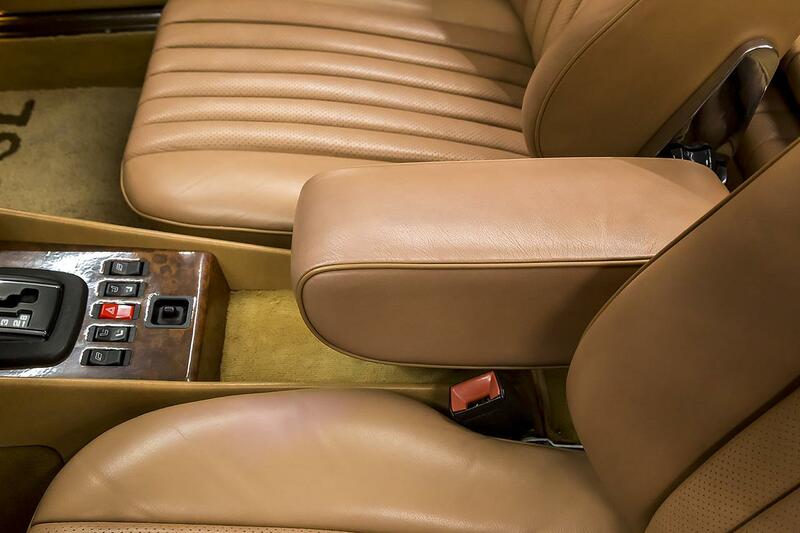 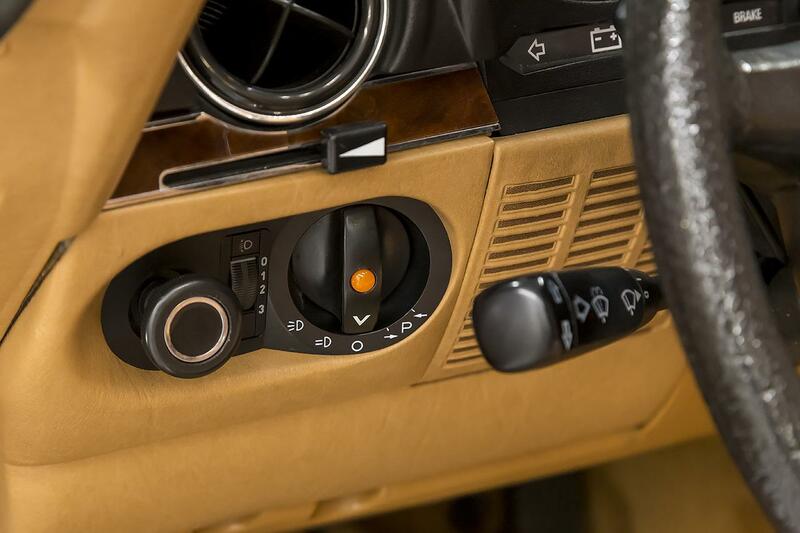 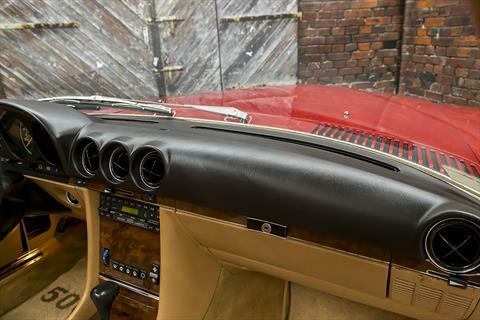 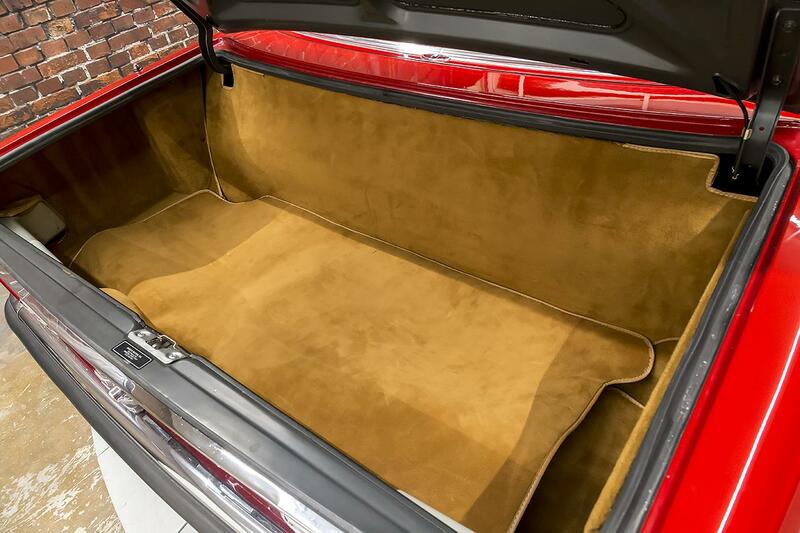 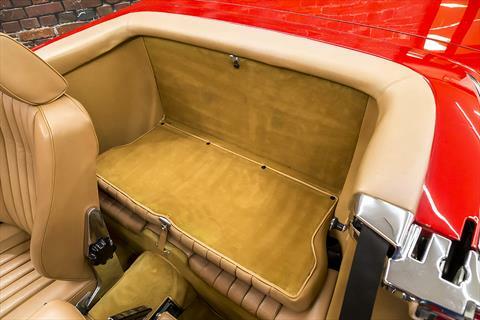 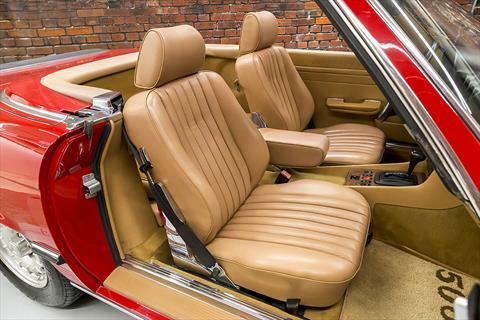 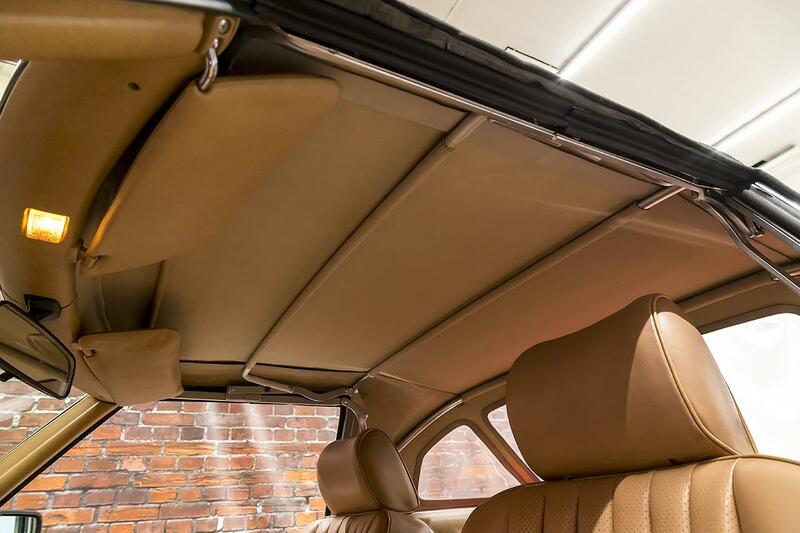 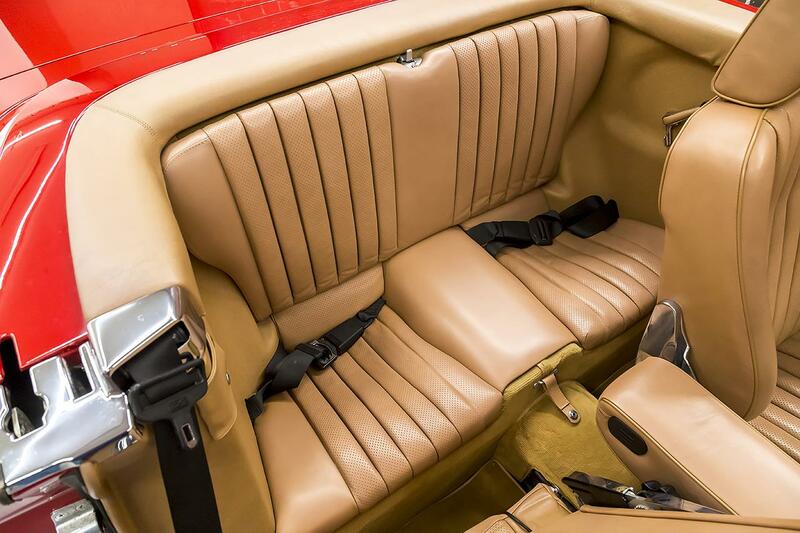 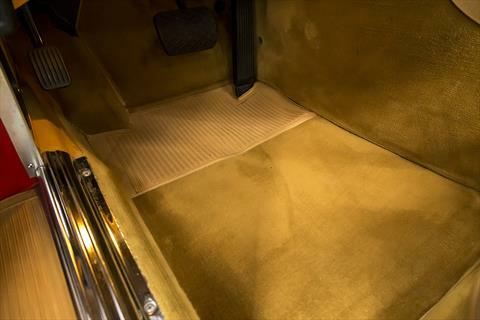 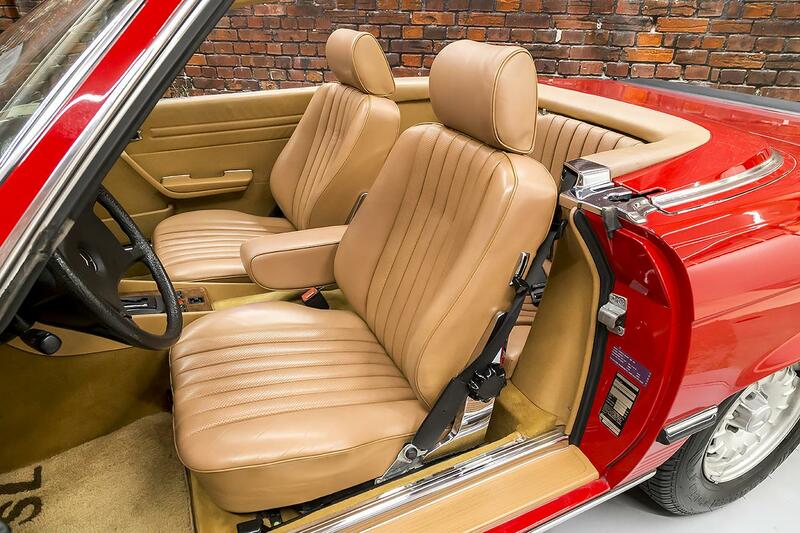 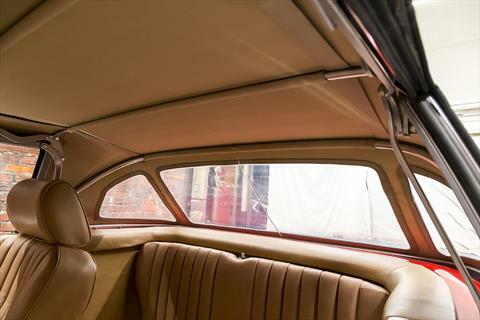 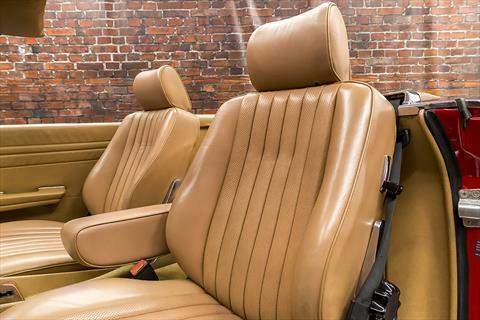 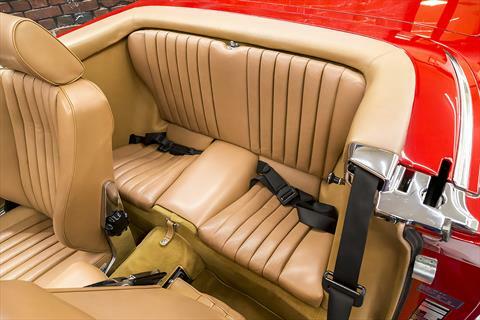 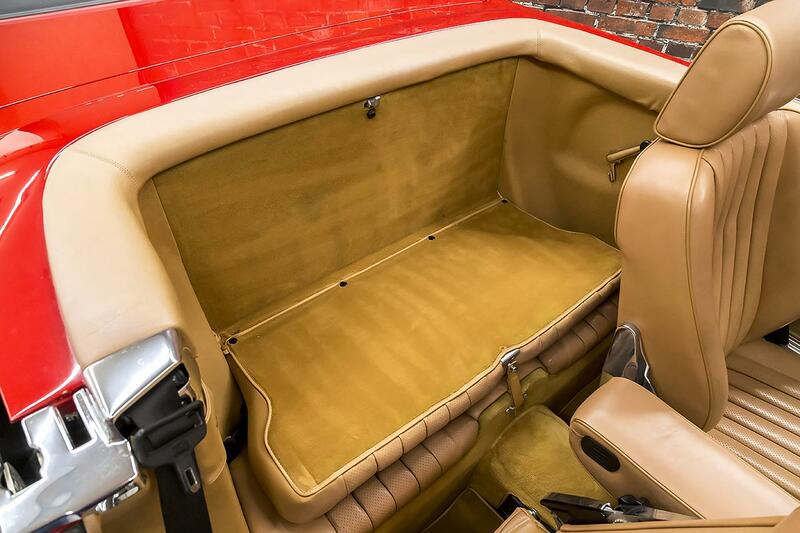 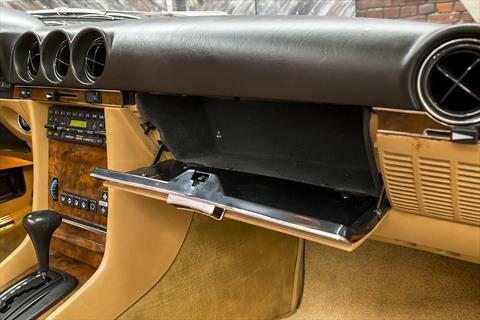 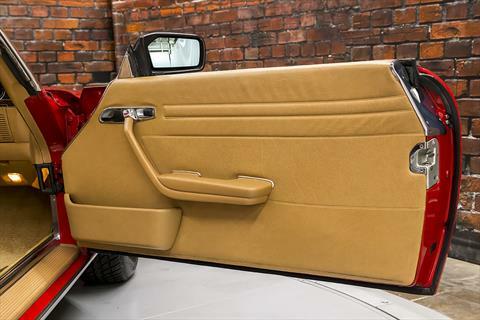 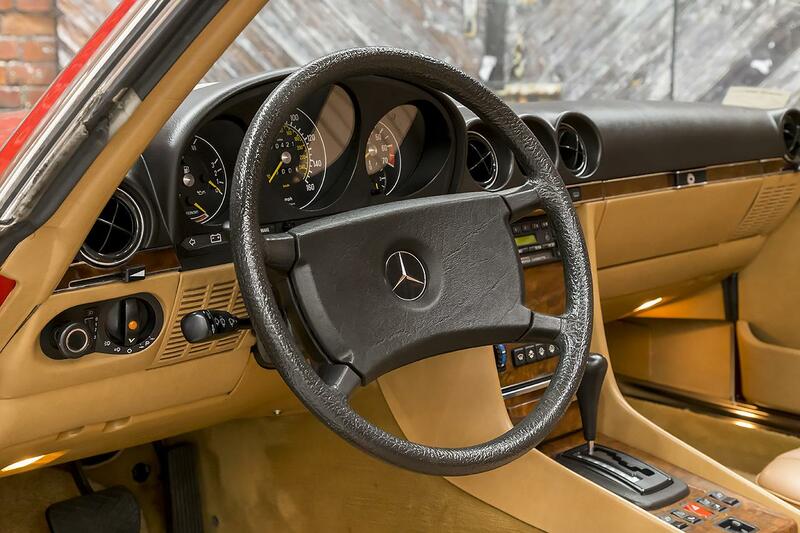 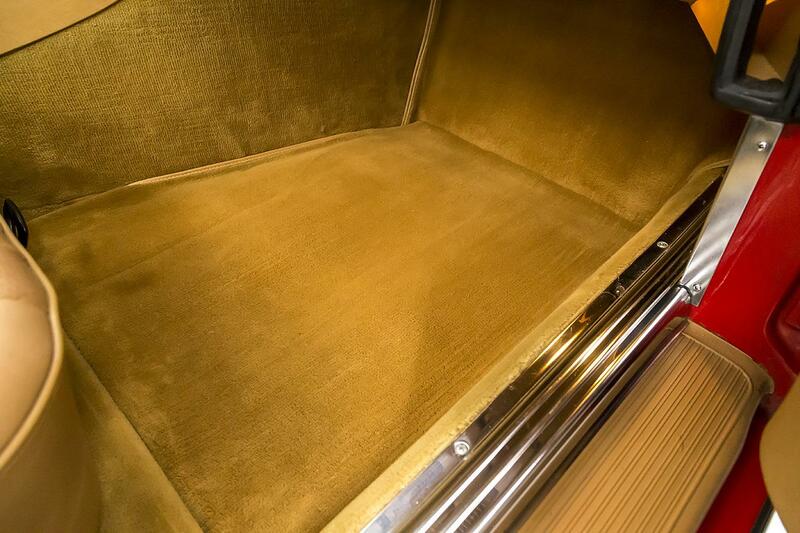 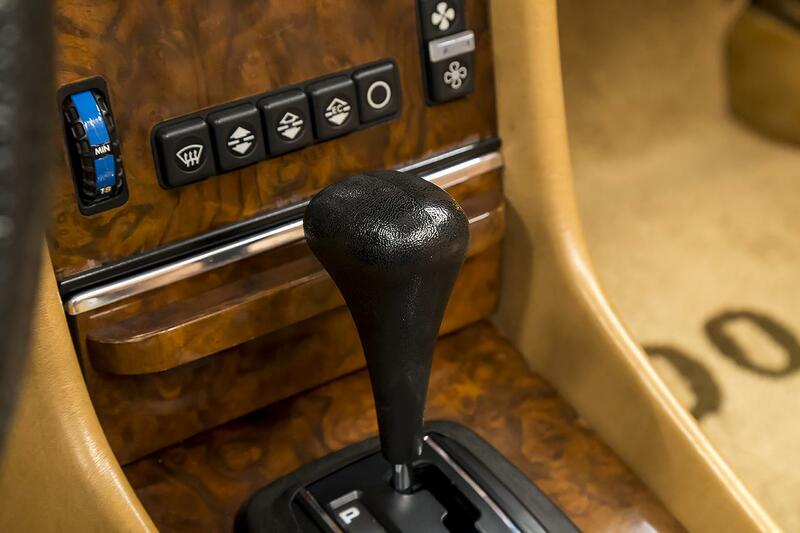 The interior is finished in 274 Light Brown Java leather and features cruise control, ABS, power outside passenger mirror, rear fold-down seat, auto climate control, heat insulated glass with heated rear window, front heated seats, and a set of 500SL overlay floor mats.